On September 2nd Brian Krebs, a security blogger, alerted his readers of a security breach at Home Depot. In this world of 24/7 communications, companies can no longer control the message. But, companies can—and must—become the most credible and consistent source of information about events that affect their brand and their customers. During the Asiana Airlines incident, the first tweet came within seconds of the crash. Deborah Hersman, former NTSB Chair, explained that her aim was not to control information during her investigation but to become the most credible voice of the incident. A few hours later, she held the first press conference on the tarmac in D.C. before flying to San Francisco. At that conference, she clarified information her office had already confirmed and the specific next steps of her investigation. Hersman then set clear expectations for when she would provide additional information. By contrast, Home Depot’s handling of its security breach was extremely poor, and not at all reflective of a leading international brand. The following crisis communications principles provide a reliable framework for assessing these missteps. Speed: In crisis communications, seconds count. 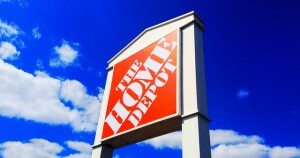 Surprisingly, Home Depot could have actually broken the news about a suspected security breach. Prior to posting his report, Krebs verified the incident with Home Depot, which means the company was aware. In all likelihood, internal teams were too busy debating what to say and how to say it. These are precious seconds during a crisis. A good crisis plan contains messaging templates and standards for these incidents. If Home Depot had been the first to announce this breach, all of the media’s reporting would have referenced the company as the primary source of information. Candor: In any investigation, it is impossible to delay communications until all relevant information is gathered. Candor is essential. As Hersman demonstrated on the tarmac in the early hours of her investigation, crisis leadership is established through openness and honesty. By sharing information at regular intervals, the crisis leader gains credibility through frequent contact and a consistent demonstration of integrity. Transparency: After Krebs’ story broke, Home Depot acknowledged the incident in a press release on its corporate website. Almost seven days later, the company provided incident details and a direct link to information on its consumer website. The intervening silence, six full days without any formal updates to customers, is a death knell for trust. Instead of becoming the most credible voice during this incident, Home Depot allowed Krebs to become the most reliable source of information. The Krebs On Security blog provided detailed updates on the breach throughout the week, including the number of retail locations impacted, the type of malware suspected, and the fact that banks saw a spike in PIN debit fraud. As a result, his brand equity increased enormously. Social media is a company’s greatest ally during a crisis. It allows a company to reach customers through their channel of preference and to provide updates at a moment’s notice. Those small, incremental updates demonstrate the company’s commitment to finding answers and keeping their customers informed. Home Depot’s social media channels hardly mentioned the incident. Instead, the Twitter feed shared updates about contest winners, which demonstrates callousness and apathy while customers wait anxiously for answers. Expectations: We build trust by upholding people’s expectations of us. Every extension of trust is a moment of vulnerability for a person. When people decide to trust a company, they are willing to put themselves in a position of vulnerability. Therefore it is essential to establish clear and measurable expectations. At the moment of the incident, Home Depot clarified that customers would not be held responsible. That message undoubtedly alleviated anxiety. Nonetheless, because Home Depot did not have a voice during this crisis, customers did not know when they would hear from the company next. That uncertainty increased anxiety—which is a huge error for brands. Never do anything to increase customer anxiety! Precision: In a crisis, details matter. In fact, details are the ultimate credibility builders. During Hurricane Sandy, Mayor Bloomberg held press conference twice a day and fielded press questions with exacting detail. His ability to answer questions with specific information assuaged concerns and established his leadership role during the crisis. He won the respect of the media, who in turn transmitted that confidence to the public. In a matter of days, this single incident tarnished Home Depot’s brand. The company failed to fortify trust with customers during this critical time when customers were acutely focused on its brand. Clearly, crisis communications plans were not considered from the standpoint of trust. As a result, the costs of these missteps to the brand were completely unnecessary.